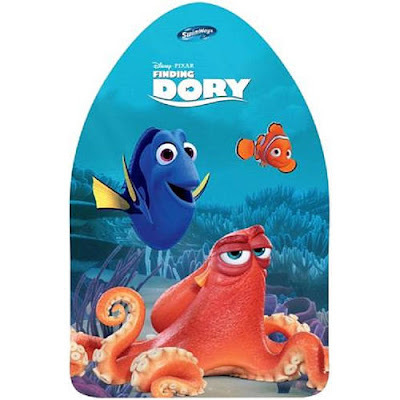 Over the last few days, more and more products related to Finding Dory are popping up online. Here are a few new ones we've recently spotted. 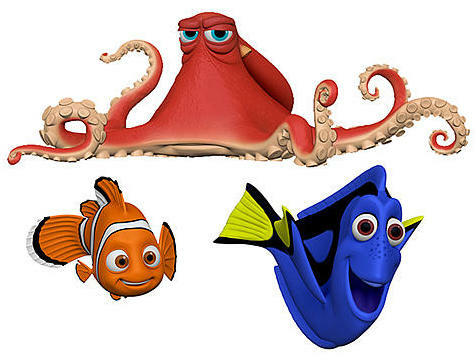 One thing we also found interesting is how at this point all of the products only highlight Nemo, Dory and Hank - additional characters will be popping up soon. New Disney Store Additions - Flip Flops, Beach Towels, Boys and Girls Swimsuits and more (click the photo below to go right to the Disney Store). Swimways Disney Finding Dory Kickboard - Blue - Ages 5 and up. Online at eBay (sold direct through Toys R Us). 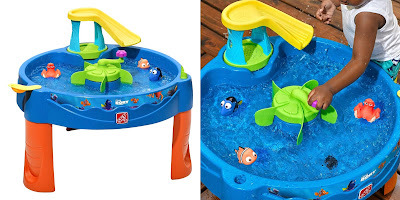 Step2 Finding Dory Swim & Swirl Water Table - Little ones will have a splash-tastic time with the Finding Dory Swim & Swirl Water Table by Step2. This kid's water table encourages fine motor skills as kids squeeze and squirt water from Dory & Friends while splashing around. Kiddos can send Dory & Friends down the slide and into their own whirlpool with the water table spinner. Playtime doesn't stop outdoors; this play table can be brought indoors for sensory play use with rice or beans. 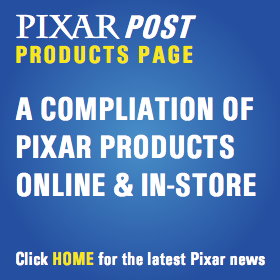 If you find an interesting Finding Dory product, let us know - add it to the Pixar Post Forum thread dedicated to the latest Dory items!